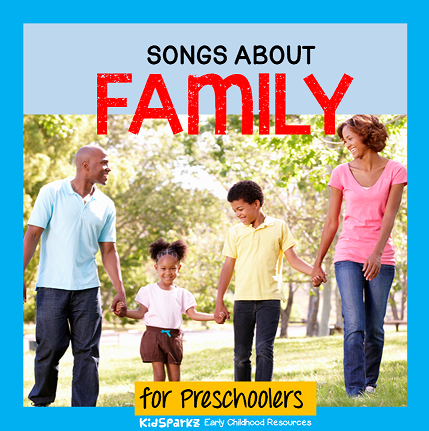 Here is a collection of songs and rhymes that coordinate with the popular early childhood theme "Family and Home", to use when planning activities and curriculum for young children. Papa's going to buy you a mockingbird. And the little one said, "Roll over, roll over." I've got the whole bed to myself! Sung to: "Over the River and Through the Woods"
To Grandma's house we go. To Grandma's house. Hoo-ray ay! And give Grandma a hug! Take us there for a while. Mommy and Daddy both need a break. We'll play games and we'll stay up real late! And that we love you! Let's clap them this way. Make up additional actions for verses. Warms each and every heart! Dad is my best friend. I love to hold your hand. You're the best dad in this land! Sung to: "Pop Goes the weasel"
Sometimes, Mom says, "Don't do this,"
Sometimes, Mom says, "Don't do that,"
She still loves me, that I know. Why? Because she tells me so. Sometimes, Mom says, "Let's do this!" Sometimes, Mom says, "Kiss, kiss, kiss!" Mommy, mommy, I love you! When I'm with you, I am so glad! And here is a house for me!